For the full text in English and Ukrainian, see below. 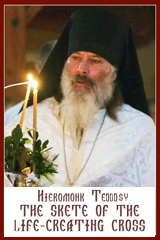 The members of the Metropolitan Andrey Sheptytsky Institute of Eastern Christian Studies, to be located as of July 1, 2017 at the University of St. Michael’s College in the University of Toronto, ask as many people as possible to join them in observing the supplemental rule of fasting and prayer. Please inform us if you would like to receive emails from the Fellowship. ✙ By the prayers of our most blessed father, Sviatoslav, Lord Jesus Christ, our God, have mercy on us. Amen. ✙ Glory be to You, our God, glory be to You. Heavenly King, Advocate, Spirit of Truth, Who are everywhere present and fill all things, Treasury of Blessings, Bestower of Life, come and dwell within us; cleanse us of all that defiles us, and, O Good One, save our souls. From Thomas Sunday to the eve of Ascension, instead of “Heavenly King,” we say: Christ is risen from the dead, trampling death by death, and to those in the tombs giving life. Thrice. ✙ Holy God, Holy and Mighty, Holy and Immortal, have mercy on us. Thrice. ✙ Glory be to the Father and to the Son and to the Holy Spirit, now and for ever and ever. Amen. Trinity most holy, have mercy on us. 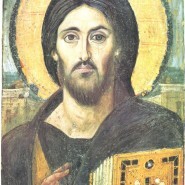 Cleanse us of our sins, O Lord; pardon our transgressions, O Master; look upon our weaknesses and heal them, O Holy One; for the sake of Your name. Our Father, Who art in heaven, hallowed be Thy name. Thy kingdom come. Thy will be done on earth as it is in heaven. Give us this day our daily bread, and forgive us our trespasses as we forgive those who trespass against us. And lead us not into temptation but deliver us from evil. Amen. O God from before the ages, send down on us from the heights of heaven Your Holy Wisdom. Enlighten our minds through Her. May God’s Wisdom lead us along the paths of truth; may She keep us from falsehood and deceit. O Lord Jesus Christ, You always reward Your faithful servants, not only with special gifts of Your love, but also with the eternal reward of the saints in heaven, and in many cases You grant them the recognition of sanctity by Your Church here on earth. We humbly pray: grant that Your faithful servant, the Venerable Metropolitan Andrey, be numbered among the saints. Throughout his just life, full of suffering and trials, he was a good shepherd for his flock and a great labourer for Christian unity. And through his beatification and intercession, grant our entire people the great gift of unity and love. Amen. ✙ Молитвами блаженнішого отця нашого Святослава, Господи Ісусе Христе Боже наш, помилуй нас. Амінь. ✙ Слава Тобі, Боже наш, слава Тобі. ✙ Святий Боже, святий кріпкий, святий безсмертний, помилуй нас (3 рази). ✙ Слава Отцю і Сину і Святому Духові, і нині і повсякчас і на віки ві…. Амінь. Пресвята Тройце, помилуй нас; Господи, очисти гріхи наші; Владико, прости беззаконня наші; Святий, завітай і зціли немочі наші, імени Твого ради. ✙ Слава Отцю і Сину і Святому Духові, і нині і повсякчас і на віки ві… Амінь. Отче наш, що єси на небесах, нехай святиться ім’я Твоє; нехай прийде царство Твоє; нехай буде воля Твоя, як на небі, так і на землі. Хліб наш насущний дай нам сьогодні; і прости нам провини наші, як і ми прощаємо винуватцям нашим; і не введи нас у спокусу, але визволи нас від лукавого. Амінь. Предвічний Боже, зішли на нас з високого неба Твою Святу Мудрість. Просвіти нею наші уми. Нехай Божа Мудрість поведе нас дорогами правди. Нехай стереже нас від ложі й обману. Господи Ісусе Христе! Ти завжди нагороджуєш Твоїх вірних слуг не тільки особливішими дарами своєї любови, але й вічною нагородою святих у небі – а в многих випадках і прославою на Твоїх святих престолах тут на землі. Покірно благаємо Тебе, зволь так прославити Твого вірного слугу, праведного Андрея Шептицького. Він упродовж свого праведного життя, повного терпінь і досвідів, був добрим пастирем свого стада й великим подвижником церковної єдности. А через його прославу й заступництво пошли й усьому нашому народові великий дар єдности й свободи.